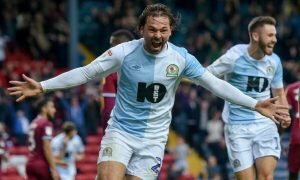 Blackpool v Leeds United Preview | The Transfer Tavern | Where football transfer rumours fly or die! Leeds United will look to build on Saturday’s victory over Wolves with an away trip to Blackpool. Having overcame one of the best teams in the league on the opening weekend, Neil Warnock will be eager to keep the momentum going at Bloomfield Road. Leeds United’s midweek record over the last two season’s has been somewhat atrocious. Winning just 15% of their midweek games in the last two season’s is a trend Neil Warnock wants to stop. 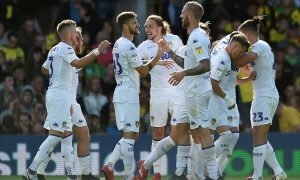 The 63 year old witnessed first hand the ‘midweek curse’ last season, after a 7-3 home defeat to Nottingham Forest; a new look Leeds United will hopefully start a record to be proud of. Leeds United were value for money against Wolves, with Rodolph Austin putting in a stunning performance to enhance his already growing popularity with Leeds fans. The one performance that was lacking any spark on Saturday, was that of Aidy White. I’m predicting that White will be replaced tonight by new signing Adam Drury. Paul Green is the only injury concern for Neil Warnock as they head to the Vegas of the North. The 29 year-old limped off against Wolves with a knee injury, and could be out for several weeks. Leeds United will have to keep a close eye on Thomas Ince tonight. The former Liverpool trainee is most certainly one of the most promising footballers in second tier football. The skillful winger already has two goals to his tally and will be looking for more tonight against a side that never seem to impress at Bloomfield Road. I’m predicting that this one will be another close affair between two well matched sides. I’m going to ‘punt’ for a 1-0 victory to Leeds United, as in Neil Warnock ‘we trust’.